Posted by phoenixcomm in 16 Segment driver, Aircraft, Arduino, CP-1252/ASN-128, DIY Aircraft Cockpit, Embedded CPU's, Ethernet, Flight Simulation, Hardware, Indicator Lamps, Multi Function Display, ps2 keybaord, Semiconductors. The Analysis: The NCD is comprised of 4 groups: Display, Keyboard, Rotary Switches, and Thumb Wheel Switches. The Display is comprised of 4 16-segment and 13 7-segment PinLite lamps, and two LED’s. The keyboard is comprised of a 10 key number pad and 4 special keys, it also encodes A-Z. There are two rotary switches, and two thumbwheel switches as well. I also found a users guide, TM-1-1520-238-10 pages 3-34 through 3-46 on the web. In it’s dim past it had been converted to a flight sim, and the only thing left whrere: the display, switches, light plate, and lots of wire. Each component, had each of their connection(s) brought out in to a header. one will handle the 4 16-segment displays. one will handle the 13 7-segment displays. The keyboard will be interfaced via a standard Ps2 keyboard encoder that will be harvested from an old ps2 keyboard. 1 byte of output to handle the two rotary switches, via two priority encoders (74LS148). 1 byte for both thumbwheel switches (they are encoded to 4 bit BCD). I also need a embedded microprocessor, the NCD information does not need to be super fast, as in reality it is only a dumb terminal, so an Arduino should be able to keep up with everything, if there are speed issues I will most likely switch to a TI Stellaris Launchpad module. The NCD is either taking keystrokes from the pilot, or updating the display. In the words of the Outer Limits “There is nothing wrong with your television. Do not attempt to adjust the picture. We are now in control of the transmission. We control the horizontal and the vertical”. In the scheme of things this unit will only be another end point on the IOP which is sending the key strokes or and knob turns to the simulation processor. And in turn the NCD in effect listens to the NavGroup via the IOP for present position, time to go etc. Keep Tuned in More to Come! Posted by phoenixcomm in ADF, Collins 614L-8, DIY Aircraft Cockpit, Flight Simulation, Radio Sub System. It must handle all of the GPIO (see part 1 for the I/O Table), or about 20 pins. It needs a USB interface for a data link to talk to the host. It needs to generate the BFO signal. It needs a PWM output to drive the meter. We need to design a interface card. It should have a relay for the Dial Lamps, and a connection to the Panel Lamp Dimmer. It should have a jack to connect the gain potentiometer to the audio system. It should also have an output for the ADF flags, in various instruments. We also need to replace the syncro with static digital encoder. It must be static as when the system powers up there is no guarantee where the dial will be tuned to. Remember this is just a AM radio. Now we must get the syncro out of the frame. Here is an abbreviated version, I will post some photos when I do the work. Loosen two Dxus fasteners located on rear cover, and slide the rear cover off the control unit. Remove three screws and three lock washers securing retaining (rear) plate to frame. Remove fixed resistor from retaining (rear) plate by removing the screw. Remove four screws and nuts securing connector to the retaining (rear) plate. Loosen two setscrews on collar, and remove spur gear from shaft of helical gear. Note. If the setscrews cannot be reached, the tuning gear train must be disassembled. Loosen two setscrews on collar, and remove spur gears from the shaft of transmitter syncro. Loosen the three screws located around transmitter synchro at the shaft end. Orient three rim-clinching clamps to permit removal of transmitter synchro and remove the transmitter synchro. 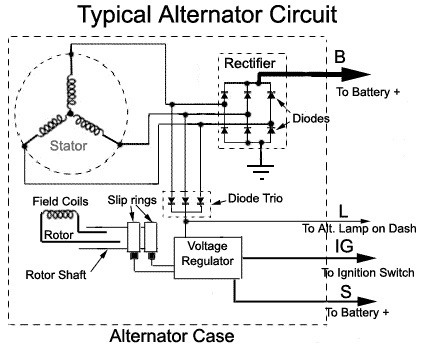 Remember re-assembly is just the reverse order. Make sure that you keep all of the screws, etc. in a nice safe place. What I like to do is to put the screws back where they came from. 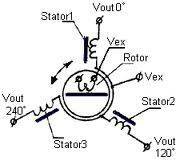 This is the ADF Control Head that I chose form my project. It is a Collins 614L-8. they are plentiful on Ebay. The Analysis The Unit is tuned via a 400hz syncro transmitter. So it looks like I will have to find a replacement for the syncro. The Loop Switch in the upper left must be rewired and the switch logic for the Band Selector Switch behind the Tuning Knob seams ok, but that will have to be verified. The Gain Control is just a 5k pot, and the Function Switch behind it just need some pull-up resistors. It looks like I can drive the Tuning Meter with a PWM signal from the controller. Also there is a BFO Switch which induces 142.5 Khz signal on top of the audio. The Plan Well first I need to score a copy of the maintenance manual they are kind of pricey on Ebay so I dug a little more. 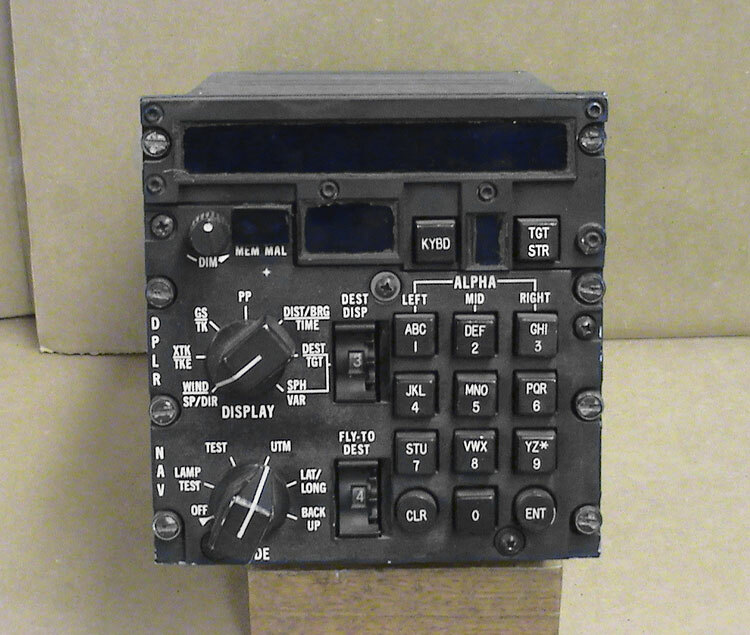 In the military the Control Unit is part of AN/ARN-83 and I found pdf copies of TM 11-5826-225-12 and TM 11-5826-225-35 with schematic, part diagrams, etc. Also you can score the operators manual here. The Tuning Meter is a dc micro-ammeter requiring 100 micro-amps for full scale deflection. Posted by phoenixcomm in Arduino, DIY Aircraft Cockpit, Flight Simulation, Linux, ps2 keybaord, Software, TI Cortex™-A8 CPU, TI EK-LM4F120XL LaunchPad, TI Stellaris. What in the world do you get for $12.99?? 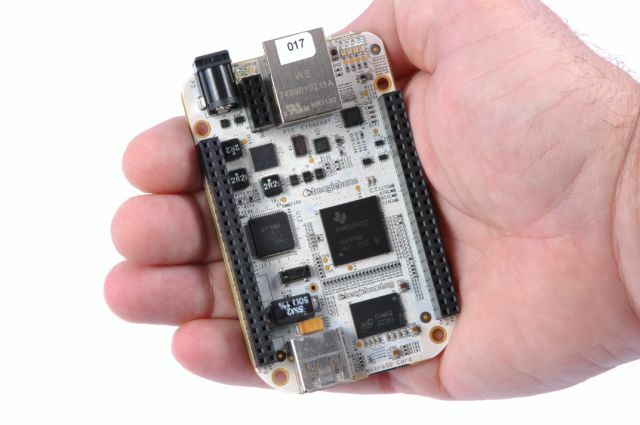 You get this cool 80Mhz 32 bit ARM Cortex M4F Launchpad Board! So lets take a look at this thing. Well for openers we get both 16/32 bit instruction, and the F stands for Floating Point. It comes with its own on-board USB In-Circuit Debugger. On-board I/O is USB, CAN, SPI, PWM, ADC. 16 MHz main xtal oscillator, 33MHz Real-Time Clock xtal. And plenty of memory: 256KB of 40Mhz Flash, 2KB of EEPROM, 24KB SSRAM, an MPU. Now for what do you use for the IDE? Nope we can use Code Composer 5 (Eclipse) and the licence is forever as long as you have the board plugged in. No you can remove it and put in a different one. Posted by phoenixcomm in Arduino, DIY Aircraft Cockpit, Flight Simulation, Linux, Mint 12, Software. Which brings up the Create Launcher tool. Now edit the tool to as shown, press ok, and you get a new icon on your desktop, that looks like a spring. So right click on it and bring up the property dialog and change you icon. Now you can drag any file from you desktop filer and drop it on you printer and presto it prints!! Ok now on to more fun… Well I’m going to move my arduino tools to this box now..
now plug in the arduino and run it again. One note: That is only for that jack. If you want to map the other USB jacks just repeat the steps. Posted by phoenixcomm in Ventura Publisher, Virtual Box, Windows 7 Ultimate, XP-pro. Well as this project get bigger my need for documentation grows bigger as well. It seems that all I have been doing lately is writing and writing.. Well my first choice for my editor was Open Office or Libre Office. But I was having problems with paragraph numbering and indention. It is not consistent. So in my search for a better editor I found Scribus, but that does not support paragraph numbering at all. And more over neither dealt with the concept of frames. As a long time user of Ventura Publisher, first published by Xerox and them by Correl. Correl never upgraded Ventura for Vista or the Windows 7 environments, and stopped with Version 10. I tried to get it to run in Compatibility Mode, but it would not run consistently. 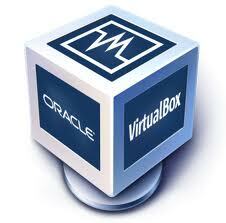 Open the VM VirtualBox manager and select NEW. Change your Base Memory Size: for XP I like 512 Mb. 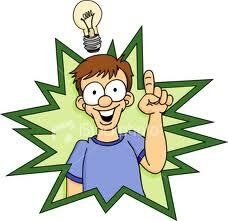 With the Start-up Disk checked and the Create new hard disk selected click next. Leave VDI selected and click next. Pick Dynamic or Fixed Size and click next. Pick the location and size I need about 30GB and click next. Review your choices and click Create. Ok get a cup of coffee or a coke. Mount your copy of Windows. Click the power button on the Manager. AFTER THOUGHT: Install Ventura Publisher and get back to work..
Open the VM VirtualBox manager and select Shared Folders. On the right hand box right click on Machine Folders and then click on Add Shared Folder. Enter the complete Folder Path and Folder Name. click on Auto-mount and Make Permanent, and then ok. Your Windows 7 files now show up in Windows XP under your network places. Posted by phoenixcomm in Arduino, ARINC 410, Audio, DIY Aircraft Cockpit, Ethernet, Flight Simulation, Linux, Software. Well here I am again.. still talking about this radio system.. The Plan: Well I have an older pc that will be the donor. It has a old ECS K7S5A pro motherboard. Yes its only 32 bits, but it has 5 PCI slots, more than enough to hold a video card, a ethernet adapter, and a few Sound Blaster PCI-16 cards. 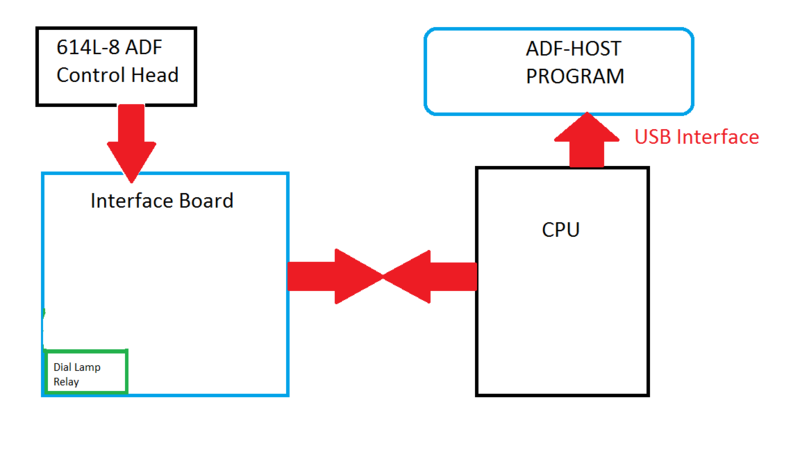 ALSA or Advanced Linux Sound Architecture should handle the multiple audio cards. The motherboard has a built-in ethernet adapter which will connect to the Internet, and other ethernet adapter will connect to the private simulator network, so the radio subsystem can get messages from the navigation subsystem (latitude, longitude, and altitude), so I can get the slant range information of the radio that the pilot has selected. This calculation gives us: From/To, DME and is the Nav radio valid. One of the other programs running on this box is a Morse Code signal simulator, as all Nav radios use a Morse Code identifier. This Pc is also hooked up to the Arduino which talks to the radio heads. This is accomplished by using a virtual comm port, over a USB cable. 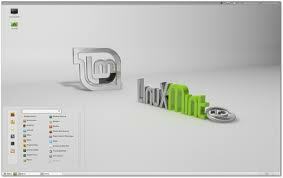 I plan on using Linux Mint on this box, as it is light weight. 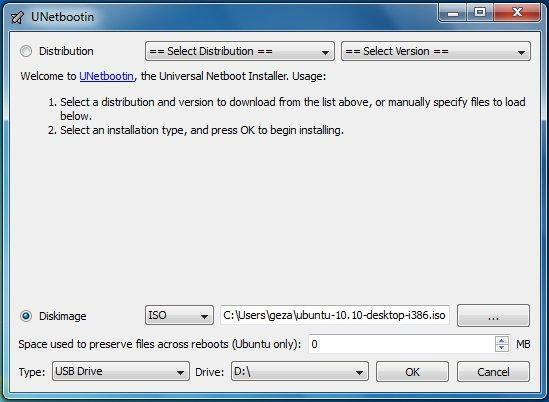 I will use a tool, UNetbootin, to download an image onto a USB stick for booting, it was so simple to use ‘even a cave man could have done it‘. Later when every thing is installed and running properly, I will use the Yacto Project to generate a custom distro. 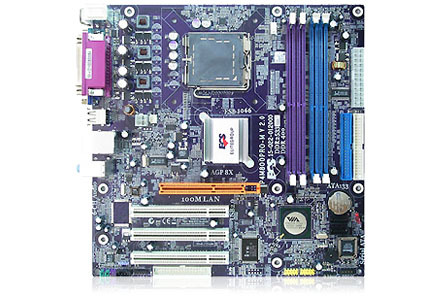 Update: ECS K7S5A pro motherboard’s BIOS could not be reset. . So I installed an ECS P4M800pro-m. It has a built in Ethernet port, VGA adapter, and only 3 pci expansion ports, so in this box there are 2x Soundblaster PCI16 cards and a 3C905-TX Fast EtherLink 10/100 NIC.